A scientific finding published in the Proceedings of the National Academy of Sciences (USA) entitled Plant-feeding phlebotomine sand flies, vectors of leishmaniasis, prefer Cannabis sativa revealed the preference of Lutzomyia longipalpis’ for Cannabis compared with other plants. During the study, researchers found C. sativa DNA in a considerable proportion of the sand flies from five out of six places around the world. The research was conducted in Brazil, Israel, Palestine, Ethiopia and Kazakhstan. “We have used bioinformatic programs to classify all sequences from each sample, by comparing with the GenBank sequence database, filtered to plants. 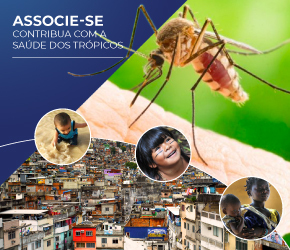 Thus, we could reach the genus level and account the amount of each plant in the sand fly diet, and perform statistical analyses”, explains researcher Artur Queiroz, from the Data and Knowledge Integration Center at Fiocruz Bahia. According to Dr. Queiroz, NGS technology facilitated the identification of food sources in infected and non-infected sand flies. “Both those infected and non-infected sand flies were analyzed. In 2016, professor Leonardo Lima, chief of the Biology Graduate course at Piaui Federal University (UFPI), in Picos, and professor Carlos Costa, chief of the Leishmaniasis Laboratory, also at UFPI, published together with Dr. Alon Warburg and other Brazilian and Israeli authors the paper “DNA barcode for the identification of the sand fly Lutzomyia longipalpis plant feeding preferences in a tropical urban environment“ in the Scientific Reports journal. According to Dr. Leonardo, the recently published findings are in accordance with his previous discoveries. He said both studies were able to confirm the sand flies’ feeding preference for specific plants using a technology called DNA barcode, which uses short DNA sequences from standard genome segments to identify species. “This was made clear in the recently published article because Canabis sativa was identified in the vegetal feeding contempt in a significant proportion of sand flies from different genus and species, collected in different parts of the world, even when this vegetal species was only present in one of the insect collection sites”, he explains. In the paper in which he is the main author, the preference was demonstrated because, although plants in the Fabaceae vegetal family are not the most abundant in the Lutzomyia longipalpis sand fly capture site, or even close to the traps, the DNA of this family was prevalent in the insects’ vegetal feeding contempt. Both studies demonstrated that the gene from the larger subunit Ribulose-1,5-bisphosphate carboxylase (rbcL), a preserved region of the chloroplast, is an efficient molecular marker to identify insect-plants feeding relations, even though in many cases the vegetal identification does not reach a species level. “Even in face of the feeding preference verification of different sand fly species for certain plant species or families, none of the papers determined which are the vegetal compounds that cause the attraction, as well as the effects of these molecules over the sand fly vectoral capacity for parasites of the Leishmania genus. However, both papers showed the importance of finding these factors, that can be used to control these disease vectors”, he says. As a complementary aspect, he says the recently published paper demonstrated that Next-Generation Sequencing – NGS is a more sensitive tool than the Sanger automatic method, since it allowed the sequencing of samples with low concentration of PCR products. “However, both methods produce equally trustworthy results to identify the insects’ vegetal feeding contempt”, he stresses. Researchers of the recent study now plan to perform experiments to confirm this attraction and identify volatile compounds emitted by Cannabis that attract sand flies. “If we succeed in this, we can envision creating a trap that contains these molecules or essential oils from Cannabis to attract sand flies to some sort of toxic bait. 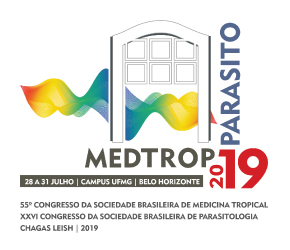 Such traps can be very useful in controlling vector-borne diseases”, says Dr. Alon Warburg, who talked to the Brazilian Society of Tropical Medicine (BSTM). Find the full interview below. BSTM: In your opinion, why does Lutzomyia longipalpis prefer the Cannabis plant? Dr. Alon Warburg: Unfortunately, we don’t have an answer to this question. We know that insects in general are attracted to (or in some cases repelled from) plants by volatile molecules (terpenes) emitted by the plant. We assume that is also the case with sand flies being attracted to Cannabis. BSTM: Once the plant is found, the sand flies feed in large amounts. Why does this happen? Dr. Alon Warburg: We have no proof that they feed large amounts. All we can say is that we found Cannabis DNA in sand flies much more frequently than we expected. Remember, Cannabis is illegal, and we did not see any Cannabis plants in the field sites. BSTM: Could you tell us a little about your findings? Dr. Alon Warburg: We discovered Cannabis DNA in a significant percentage of the sand flies found in 5 out of 6 locations in different parts of the World. This included 2 species that transmit cutaneous leishmaniasis in the Middle East and Central Asia and two species that transmit visceral leishmaniasis in Africa and South America. BSTM: Which technology do you use in your studies? How is it performed? Dr. Alon Warburg: We extract DNA from whole flies preserved in alcohol. We then perform polymerase chain reactions (PCRs) using primers, which are specific for target sequences of DNA. In this case plant DNA. We then label the PCR products, which are essentially multiple copies of DNA sequences from the sand fly or its food sources, with unique tags that identify the individual flies. Then we pool all the PCR products and run them overnight in a Next Generation [DNA] Sequencing (NGS) machine, which gives us the sequences of the PCR products. Several million sequences per NGS run. Then, we analyze the data to assign the sequences to specific plants. We have used bioinformatic programs to classify All sequences from each sample, by comparing with the GenBank sequence database, filtered to plants. Thus, we could reach the genus level and account the amount of each plant’s DNA in the sand fly diet and perform statistical analysis. BSTM: What is the importance of your findings? Dr. Alon Warburg: Firstly, it demonstrates the feasibility of highly sensitive NGS-based metagenomics analyses to research plant feeding by sand flies and mosquitoes. Secondly, the identification of Cannabis as a probable ubiquitous source, indicates that sand flies are attracted to this plant. We plan experiments to verify this attraction and identify the volatile components from Cannabis that attract sand flies. If we succeed in this, we envision creating a trap that contains these molecules or essential oils from Cannabis to attract sand flies to some sort of toxic bait. Such traps can be very useful in controlling vector-borne diseases. BSTM: Is it correct to say that knowing more about these insects’ habits means a possibility to design new control strategies? Dr. Alon Warburg: Sure, as explained above. BSTM: Which researches are you currently involved in and where? Dr. Alon Warburg: My most productive collaboration is with researchers in FioCruz Bahia. Mainly, Artur Queiroz and Patricia Veras and her research group. We also collaborated with Carlos Costa of Teresina and published a paper on plant feeding last year. For this study we also collaborated with Asrat Hailu from Ethiopia with whom we have worked for the past 10 years. The flies from Kazakhstan were collected by colleagues from the USA, Richard and David Poche who are good friends and excellent collaborators. BSTM: Does your research include other plants besides Cannabis? Dr. Alon Warburg: Our PCR markers amplify sequences from different plants. However, some of the markers did not provide sufficiently accurate data to identify specific plants only their genera or families. Fortunately for Cannabis, the one marker that worked well (rbcL) was sufficient. 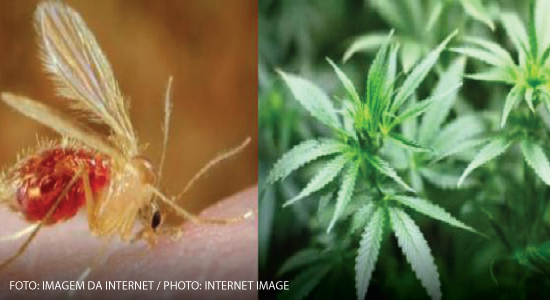 BSTM: Did you observe any kind of behavioral changes when sandflies feed on Cannabis? Dr. Alon Warburg: We only interacted with trapped flies, so there was no possibility of behavioral studies. BSTM: Regarding the used Cannabis, were they cultivated in water or on earth? Do you believe this could influence the Lutzomyia longipalpis preference? Dr. Alon Warburg: We have no idea since we never saw these plants. The only exceptions were wild Cannabis plants (Cannabis ruderalis) in Kazakhstan. The Cannabis plants originate in Central Asia. BSTM: In which countries was the preference for Cannabis confirmed? Dr. Alon Warburg: The geographical borders of countries are not really relevant. More importantly, 5 species of sand flies, 4 from the Old World including Central Asia, the Middle East and Africa. One species (probably a species complex that includes several sibling species) Lutzomyia longipalpis is widely spread in South America where it transmits visceral leishmaniasis. BSTM: Do you believe climate can influence the preference for these specific countries? Dr. Alon Warburg: No indication for that. Ph. sergenti was captured in desert areas with hot dry climate and ~150mm of rain a year. Lu. longipalpis was captured in Camacari, BA, which gets ~ 10 times that amount. BSTM: In your opinion, which other factors can explain the preference? Dr. Alon Warburg: As I explained before, we have no additional truly scientific data. My speculation is that they derive some benefits other than sugars for energy which may have to do with insecticide resistance or general positive effects that influence survival, longevity?